8 Simple Steps to Sell Online - WOW - Connect with ServerFreak "Best Hosting Provider in Malaysia" WOW – Connect with ServerFreak "Best Hosting Provider in Malaysia"
Unlike many years ago when creating an online store seems like a daunting task to many, building your own e-commerce store is no longer difficult anymore. This is due to the advancement and creation of many user-friendly tools and affordable web hosting in the market today. 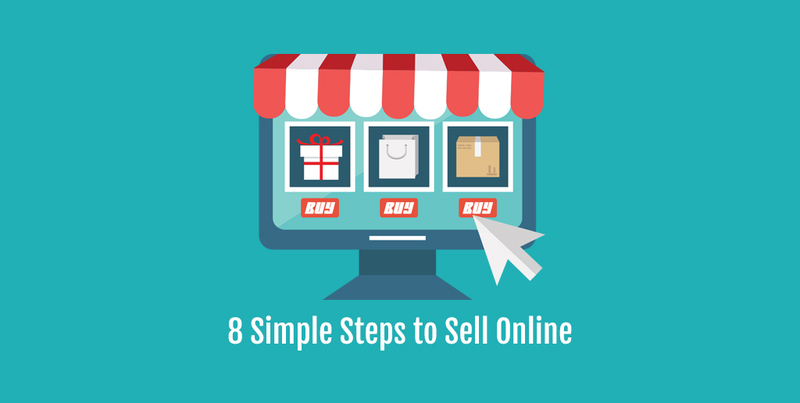 Regardless of whether you are building an online store from scratch or creating an e-commerce website as an extension to your existing brick-and-mortar business, here are 8 simple steps to sell online. This means getting the basic stuff of your business all mapped out. For example, you need to determine what products or services to sell at your website. A proper business plan with all the necessary details such as address, phone number and email address would be good to keep you on track. These are obvious and you need to have all these sorted by now. Another thing you need to consider is traffic to your website. The more visitors your website is able to attract, the higher your chances of closing sales or increasing sales revenue. So, how can you increase your website visitor? The answer is through Search Engine Optimization (SEO). In order to achieve high SEO ranking in the eyes of the search engines, you will need a lot of good and unique content. So be prepared to offer informative articles related to your products and service on your website. The next step is to register a domain name for your website. A good domain name is always linked to your business name. If you have the budget, you can consider registering a few variation of your business name too. Besides domain registration, you need to subscribe for a good web hosting plan. You can perform your own research easily on Google by typing “top web hosting review”, “best Malaysia web hosting” or “Malaysia web hosting companies” etc. The search engine results will list down the entire top web hosting providers in Malaysia as well as oversea companies. One of the most reliable web hosting providers in Malaysia is ServerFreak. With many rave reviews from past and existing clients together with their vast experience in the web hosting industry, you can definitely choose ServerFreak to host your website. When designing your online store, the most popular choice is to use WordPress. WordPress is a powerful content management system (CMS). The best thing about WordPress is that it is free, user-friendly and allows you to build a professional store easily regardless of whether you understand programming language or not. Even if you do not have experience in installing WordPress, most hosting providers provide WordPress as part of their package so you shouldn’t have any problems installing it. For example, ServerFreak’s cPanel and WordPress hosting plan offers Softaculous software that allows you to install WordPress with just a few clicks of the mouse. Once you are done with WordPress setup, you can proceed with theme selection. There are lots of e-commerce themes available for WordPress, both free and premium. Since you are doing online transactions, we would suggest that you choose a premium theme to build a powerful and reliable website that is easy to manage. Free themes’ scripts may not be optimized or updated frequently (if at all) and that can make your e-store a hackers’ easy target. For WordPress, there are both free and premium themes available for e-commerce. Since you are doing online transactions, I would suggest that you choose a premium theme to construct a powerful and reliable website that is easy to manage. One of the disadvantages of using free themes is that they may not be optimized nor updated frequently, therefore causing your e-store vulnerable to a hacker’s attack. To overcome this shortcoming, it’s wise to choose premium theme for your e-commerce website. You may consider purchasing a simple and effective e-commerce theme such as the eStore eCommerce WordPress Theme from Elegant Themes. This professional theme can be integrated easily with other e-commerce plugins and very simple to configure. The cost is only USD89/year but you will receive full updates and support from their theme developer as well as full access to all of the themes inside the Elegant Themes library. Once you have WordPress installed in your hosting account, you can proceed to install a good shopping cart application for your online store. We recommend Woocommerce as the best shopping cart plugin for WordPress websites and blogs. The greatest benefits of Woocommerce are its simplicity. Business owners already having a self-hosted WordPress can install WooCommerce just as easily as if they were adding another plugin. The setup is intuitive and fast, and within minutes, allows users to add and sell products via their WooCommerce shop. Other than Woocommerce, you can also consider other famous shopping cart applications such as ZenCart, Prestashop and Magento. Just look under the e-commerce features in your hosting plan for these shopping cart solutions. Once you have decided on your theme or shopping cart application, you can get down to customizing your e-store. The first thing to look into would be your “Products or Services” category. The navigation through these categories should be concise. You can always create “sub-categories” to make things simple and avoid confusion among visitors or customers. Adding a search box at the top of your website will improve navigation and browsing experience too! Secondly, name your products clearly. For example, if you are selling a “Calvin Klein’s perfume”, you could list it as “Calvin Klein’s Men Perfume – 2018 limited edition” together with a few clear images of the fragrance. Oh, do remember to put in a detailed description of your product. Always remember to make navigation and product labelling on your online store to be as simple as possible! Payments are essentially the lifeblood of an eCommerce business and the choice of the right payment gateway is critical to the success of your online store. Besides accepting payment online through local bank transfer, we highly recommend that you integrate a reliable and secure payment gateway such as Paypal. You can also integrate credit card payment on your online store by using popular local payment gateways such as Ipay88 and MOLPay. For international payment gateways, you may consider WorldPay and MasterCard Internet Gateway Service (MiGS). Shipping, on the other hand, is pretty easy to manage. Just check with your local post office or courier services for quotes and do up a table according to weight and distance and upload it on your website. Alternatively, you can incorporate the shipping charges into the items and offer “Free Delivery” to your customers! Once your e-store or e-commerce site is up and running, you would still need to perform maintenance work. It is imperative that you update your software and plugins in order to ensure that bugs are fixed and security are intact. You can’t afford to lose your customers’ trust and your reputation! Do remember to update your product’s inventory as well as the product information too! You do not want your customers to feel disappointed when they find out that your product is already running out of stock! In conclusion, starting an online web store is not difficult at all as long as you follow the 8 simple steps above. If you need a reliable web hosting to host your e-commerce store, please feel free to contact us at sales@serverfreak.com for assistance or you may choose our Semi-Pro cPanel hosting plan, which is our most popular hosting plan for every businesses and webmasters’ needs.